The rage of Starbucks inspired egg bites is astounding! Soft pillows of velvety and cheesy little morsels cook up quickly in the Instant Pot, Mealthy MultiPot or Pressure Cooker. My original Starbucks Sous Vide Bacon and Jarlsberg Egg Bites were a huge hit. 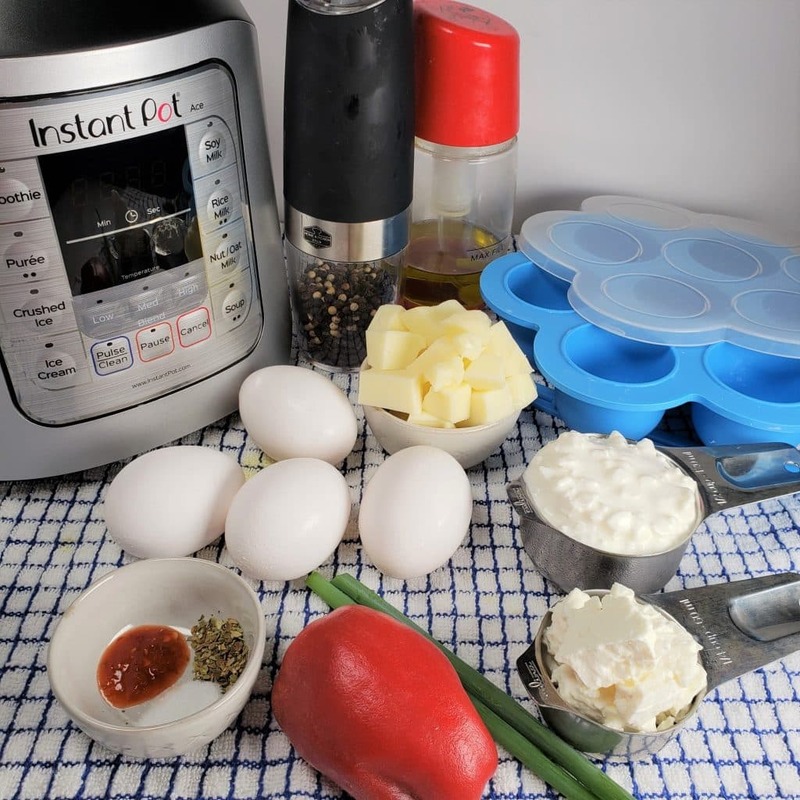 While the best method for making egg bites is using the Instant Pot Sous Vide Circulator, many people wanted a quick fix. So, I converted my sous vide recipe to an Instant Pot method using egg bite trays. The crowds went wild. 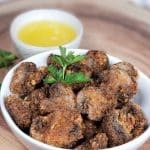 As my Pressure Cooker Mini Mushroom Quiche Egg Bites recipe is so popular, I thought it time to make another Instant Pot Egg Bites recipe. 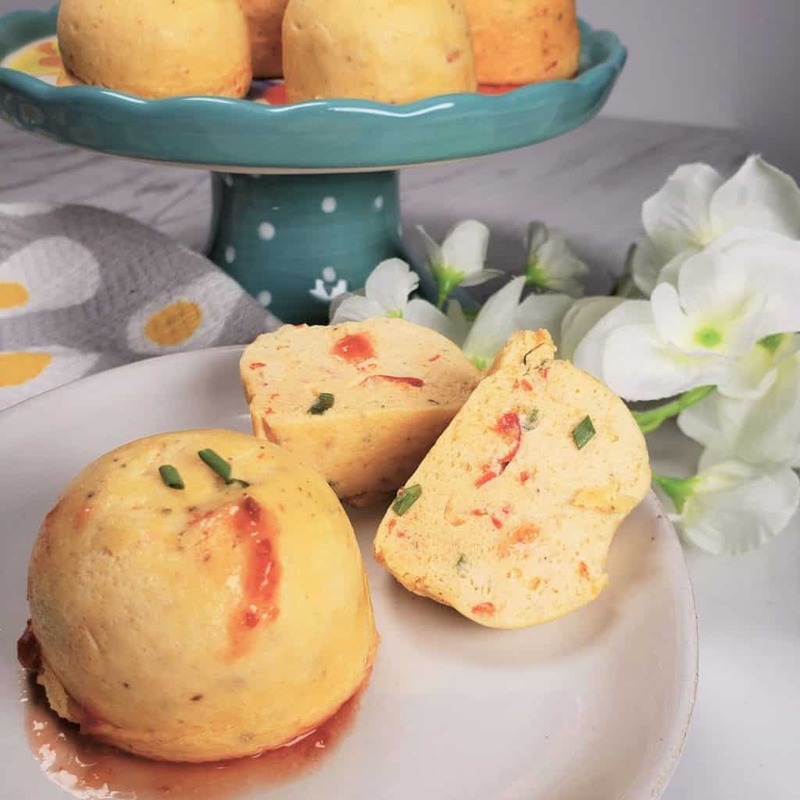 Unlike Starbucks Egg Whites Red Pepper Egg Bites, these Instant Pot Egg Bites are made with the whole egg. Taking a page from my incredibly delicious Air Fryer Greek Feta Psiti recipe and of course not wanting to do the same old copycat egg bite recipe like a zillion other bloggers, I created my own new and unique Instant Pot Egg Bites with a Greek flair. 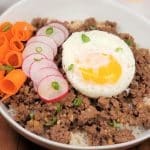 What are Instant Pot Egg Bites? 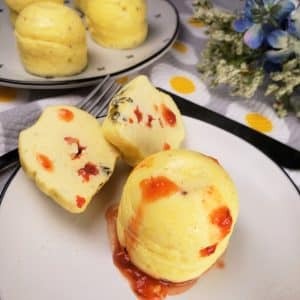 Instant Pot Egg Bites are soft, pillowy individual bite-sized clouds of scrambled eggs mixed with seasonings, cheese and/or meat. The texture is velvety smooth and light, like meringue. Instant Pot Egg Bites get their texture from the whipping up of the eggs and cheese, until they become very frothy. Instant Pot Egg Bites were inspired by Starbucks Sous Vide Egg Bites. 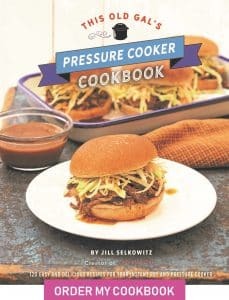 Egg Bites in the Instant Pot are cooked under pressure, not by sous vide. This new Instant Pot Ace 60 Blender is a very nice machine and for under $100, you can’t beat it really. 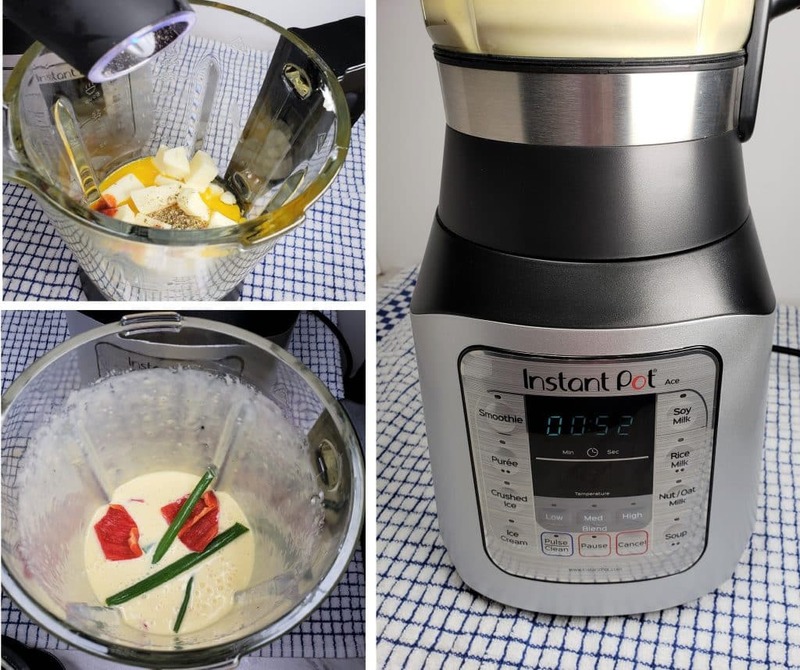 Check out my video and blog post about the Instant Pot Ace 60 Blender, where I make Instant Pot Blender Root Vegetables Soup. How to Make Instant Pot Egg Bites. Use a good blender to whip up the eggs and cheese until frothy. Very lightly grease the wells of the silicone egg bite tray. Cover egg bite trays, so that the steam from the water will not get inside the wells. Use the proper mode and timing shown below on the recipe card. 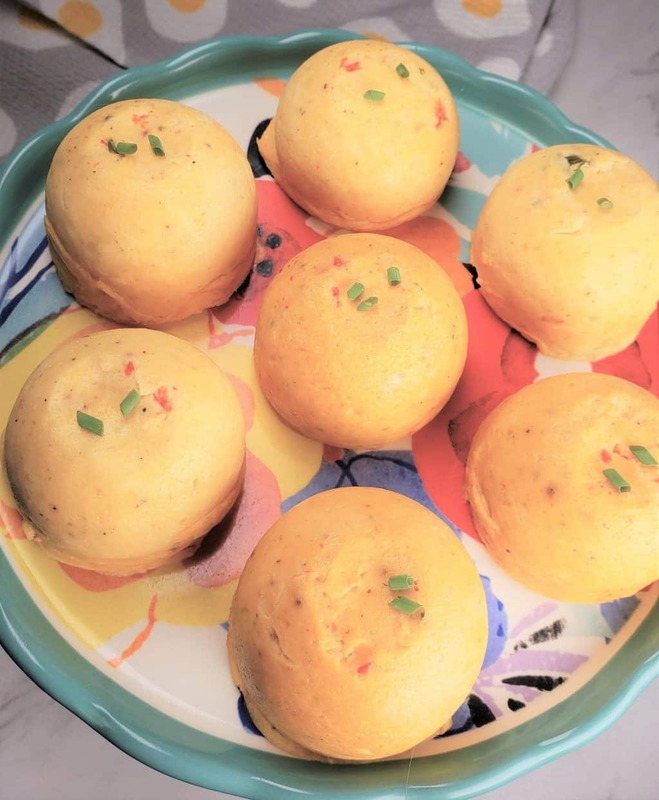 Have you tried my Instant Pot Egg Frittata or my Instant Pot Frosted Egg Cupcakes? I tried several different modes and timing for Instant Pot Bit Egg Bites. After many different tests and way too many eggs consumed, I found the perfect method to velvety, smooth and fluffy Instant Pot Egg Bites. 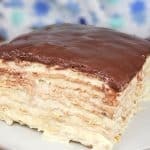 Interestingly enough, the most used timing and steam method that I have seen on many other on-line egg bites recipes, is not what I found to give the best results. Tips and Tricks for Instant Pot Egg Bites. Use fresh cheese from a block, not the preshredded stuff in bags. Whip the ingredients until very frothy. For a more authentic Greek flavor, use extra virgin olive oil. Start with a minimal amount of hot sauce, as you can always add more after cooking. Use the cover of the egg bite trays, rather than foil. The best egg bite trays I have found are these egg bite trays with attached handle AND attached trivet. If you get these, it eliminates the need to use a metal trivet. If you want the egg bite trays I use, here is the link. Egg Bite Tray with Attached Trivet/Handle. This egg bite tray is a bit larger than some others, which I found was a plus. Very lightly use extra virgin olive oil to grease egg bite tray. Add eggs, cottage cheese, Monterey Jack, feta, salt, pepper, oregano and hot sauce to blender and blend until frothy. Add chopped bell pepper and scallions and pulse for a second, just to combine. Pour egg mixture evenly among egg bite tray. Place silicone lid on top of egg bite tray. If you don't have a fitted top, cover tightly with foil. Lower egg bite tray into cooking pot. If your egg bit tray does not have an attached trivet, lower trivetless egg bite tray on top of metal trivet. Lock on lid and close pressure valve. Cook at high pressure for 5 minutes. When beep sounds, wait 5 minutes and then release the rest of the pressure. Remove lid and serve right away with a dash of hot sauce, if desired. I strongly suggest getting these egg bite trays, as they have an attached trivet and handle, which makes life easier. Plus the silicone lid fits on the egg bite tray nicely and if you have a recipe which needs to rise, the silicone lid will stretch and allow for rising. 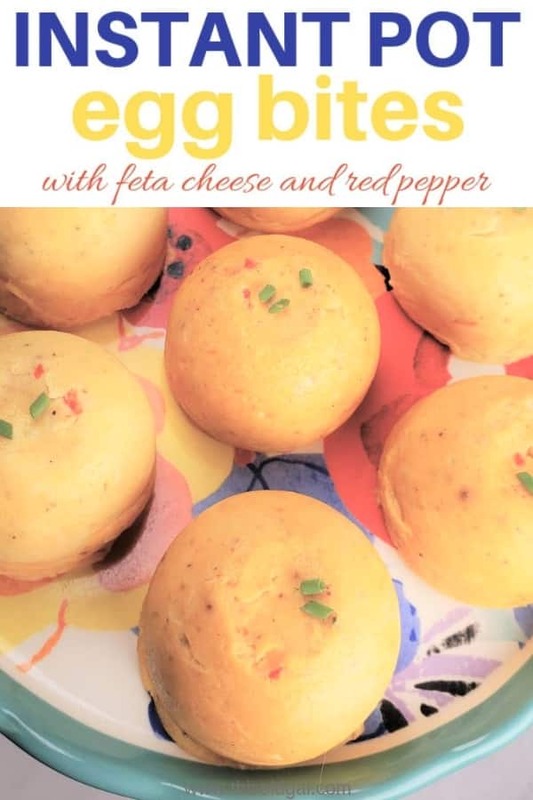 PIN this Instant Pot Greek Feta & Red Pepper Egg Bites! I made 50 of them and froze them. When I am ready to serve them for my company how many and how long would you suggest in the microwave? 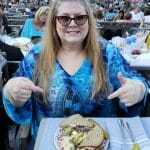 I purchased your cookbook and love everything I have tried so far. Great job with it. If I want to double the recipe and use 2x molds, should I increase the cooking time or keep it the same? I love egg bites, I have one every morning with a bowl of your yogurt. I have made many varieties. I use the white ramekins. I also spray the tin foil that will touch the egg so it doesn’t stick. I love your recipes. I almost exclusively use your recipes because they are tried and true. I have converted my daughter to your recipes to!!!! I kept telling her, and she has finally listened. Thanks for all the time you put in to this site. OK, so these sound like they’ll be delicious, however I followed the recipe exactly as written with the suggested tray cooking 5 then waiting 5. When they came out, they were still liquid in the center of the cups. They’re in now for an additional 5 minutes. Any idea what could have gone wrong? 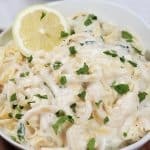 Amazing flavor, quick and easy to prepare. I did not have cottage cheese on hand, so I used ricotta. The bites came out a bit on the creamy side, but after a bit of sitting, did still hold together. How do you recommend keeping and reheating leftovers? Are you saying that you used the plastic lid that came with the silicone molds in the Instant Pot while they cooked? Completely sealed? Jill, how many of these egg molds will fit in a 6 qt pot such as the instant pot duo? I’d like to cook multiples and freeze, maximizing the batch size. 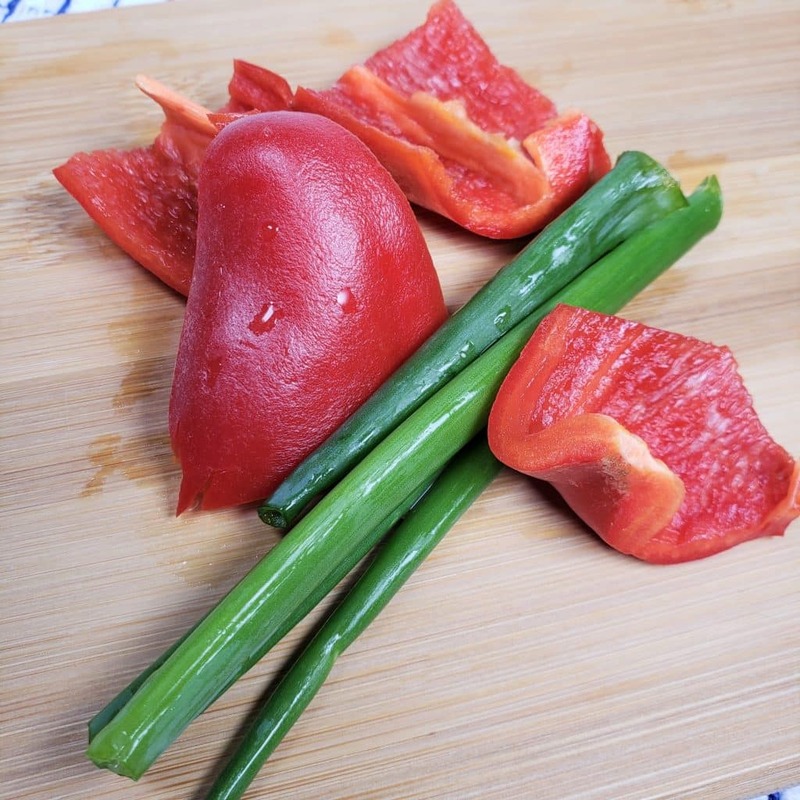 Approximately how much bell pepper yields 2 ounces? Has anyone tried doubling this recipe and stacking 2 silicone egg trays in the IP? Would the cooking time need to be modified? I purchased the integrated trays with base and handle as recommended in this recipe. Would this egg tray work for mini lava cakes?